In May 2017, the Wyoming Game and Fish Department saw an increase of 4.47% in hunting licenses from the year before. The next year, 2018, was no different, with an increase of 6.95%. Between the years of 2016 and 2018, the total number of licenses has increased by 11.73%. The increase is not necessarily due to residents taking up renewed interest in hunting. While that does certainly play a part, more non-residents are applying for hunting licenses and coming to the Cowboy State to hunt our game. 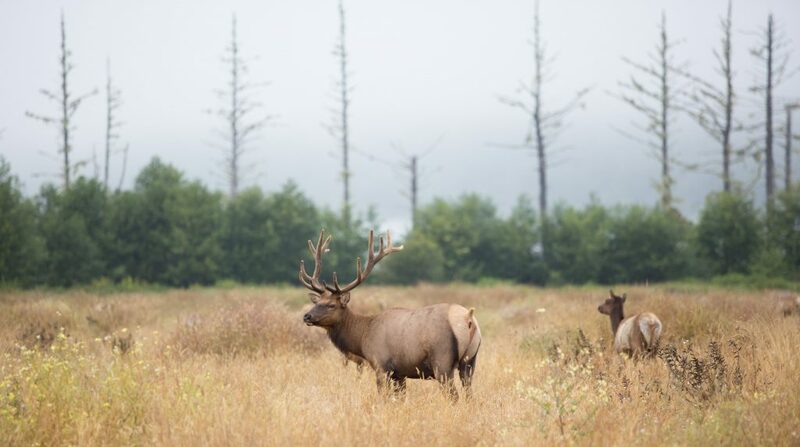 Deer, antelope, and resident elk licenses have seen the biggest jump of all. This tourism is always good for our state. Firstly, those wishing to get a license must pay a fee to do so. That goes directly back into the state, helping with conservation efforts. While here, hunters often stay for several days, pushing more money into Wyoming’s economy as they pay for everyday expenses. While drawing people into the state is always good for the economy, it has some local hunters worried. Draws are held for hunting licenses, which means not everyone will get one. However, that may not be the only reason for concern. While hunting is an enjoyable activity, it’s also one that brings with it many risks. The most obvious danger is that a hunter could get shot, either by friendly fire or from an accidental self-inflicted wound. Hunters intentionally try to blend in with their surroundings so they aren’t detected by the animals they’re trying to hunt, even with the bright orange gear. This camouflage is sometimes too effective, especially when dusk approaches. If you can’t identify your target, you shouldn’t take the shot. On a hunting trip, a lot of gear is used, sometimes including shotguns and sidearms. This gear has to be carried to a tree stand or hunting shack, and shotguns may be slung over backs. An inexperienced hunter might make a mistake and discharge a gun involuntarily, hitting a partner. The same holds true for bow-hunters. Broadheads can cause severe puncture wounds if not handled carefully, and poor use of a bow can even break bones. Another safety concern that is often overlooked is the tree stand. These stands are high up off the ground, in order to provide the hunter with the best view of any game walking below. Unfortunately, these stands are also a common cause of injuries. Hunters can fall out after being perched for hours, or they can fall while climbing up to the stand. A little prevention and stretching can go a long way. The rise in hunting applications is a trend that’s not likely to go away anytime soon. It’s important for everyone who’s granted a license to know how to keep themselves and everyone around them safe while enjoying a hunting trip. Firearms should be kept in a locked position until they are needed, and every hunter should receive training before handling a firearm or crossbow. In addition, it’s important to step carefully at all times, especially when entering or exiting a tree stand. When the appropriate safety measures are taken, the increase of applications for hunting licenses in Wyoming can be a good thing for everyone. Have legal questions? Talk to the trial attorneys at Steven Titus & Associates, P.C. We offer both personal injury assistance and criminal defense, so we understand all the things that can go wrong on a hunting trip. Call for a free consultation at (307) 257-7800.